Kathmandu, Everest and city Biratnagar. 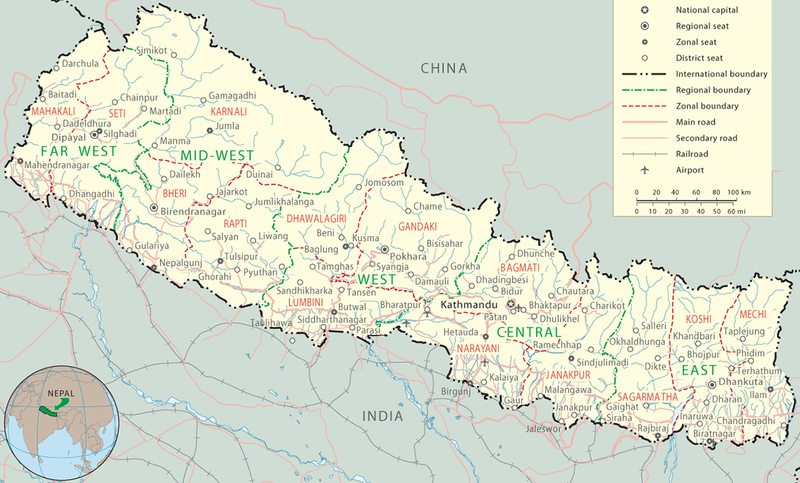 Pokhara, Baglung and Liwang. Border with China. Mountains of Asia. Countries and Roads.